Teens want a chair that is both stylish and comfortable to sit on for long periods. They do not want a boring office chair. 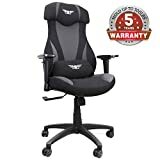 Lucky for them, there is a huge selection of gaming chairs available that come in a wide variety of styles, colors and prices that fit any budget. 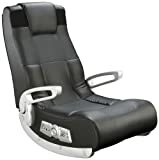 There are a few different types of gaming chairs that you will find for sale. 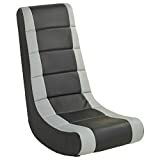 These include rocker type seats that are perfect for lounging about playing your xbox or playstation console video games in your bedroom or living room. 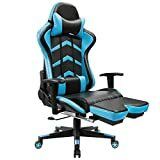 More popular these days are the racing gaming type chairs that most every gamer on youtube proudly sits in while streaming or recording their videos. There are many brand name chairs such as DXracer, Merax, GTRacing and a host of other manufactures with new models being released often. 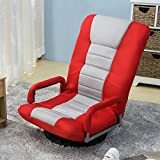 Teenagers may want additional comfort while watching movies, tv or videos, and many chairs include a reclining feature and a builtin footrest to accommodate this. Most models come in multiple colors so finding the perfect chair to match your gaming room setup is pretty easy. Red, blue and black all seem to be popular color choices but everything from green to purple to pink can be found. Larger or heavier persons may want to look at big and tall versions of the most popular chairs as they offer more support and comfort. Here are some great points to consider when you shop for a new gaming chair for your teen. Weight Limit – If you have a larger or heavier teen make sure the weight limit and size of the chair is adequate for them. Fully Adjustable – To achieve the most comfort, a chair needs to adjustable to suit any body shape or type. Quality Materials – Some manufactures cut cost by using cheaper materials. Look for brands that are reputable and known for quality products. A good gaming chair can last for a long time and provide many hours of comfort and support. Make sure you do some research to ensure that you purchase the perfect chair.